There is a growing need for a recount to determine the winner of the Congolese presidential election after leaked electoral data differs sharply with the announced results which show Félix Tshisekedi as the winner. Since independence from Belgium in 1960, the country has never witnessed a peaceful transfer of power at the polls, and the international community should play a key role in buttressing democracy in the Congo. That data shows Mr Tshiseked, the announced winner, took in 19 percent of the vote. While Martin Fayulu won 59.4 percent of the vote with the data claiming to show the results of 86 percent of all votes cast. Emmanuel Shadary, President Kabila’s favored replacement earned 18% of the vote according to these figures. The data corresponded to the results compiled by the Catholic Church and shared with the United Nations Security Council, though the two counts show some discrepancies as much as 3% and in one instance a bit more. The leaked data shows Emmanuel Shadary earning 57.9% while the Catholic Commission had him earning only 50.7% of the votes in Sankaru in central Congo. The leaked data reflects the shock in the announcement of Tshisekedi as the winner. 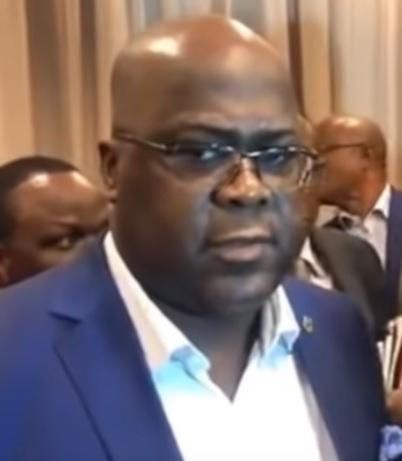 Felix is the son of the late Étienne Tshisekedi, a three-time Prime Minister of Zaire and leader of the Congo’s most continually active opposition party. Tshikedi’s base is the Kasai region, and the data suggests that Tshikedi did indeed win this region with over 96% of the vote but, struggled to make his case to voters elsewhere. Conversely, Fayulu is a former Exxon Mobile executive and built a truly national campaign that united several other opposition candidates behind his run. Outgoing Congolese President Joseph Kabila’s is not shown to have won in any of the polls leading many analysts to presuppose that Tshisekedi and Kabila were in cahoots. Unlike many other countries in Africa and the Francophone world, there is no second round in the election system, though if he earned 59.4% of the vote as the data suggests, Fayulu would hardly have needed one. The election kerfluffle suggests that outgoing president Joseph Kabila is failing to respect his democratic commitments and has remained in power since 2016 when these elections were supposed to have been held. Even if there was no explicit deal Kabila may have favored Tshisekedi as he is seen as the weaker of the two opposition candidates with some speculating Kabila now wants to maintain power behind the scenes — ala Russia’s Vladmir Putin in the President Medvedev era. The Southern African Development Community (SADC), which includes the DRC, will meet on Thursday in Addis Ababa to discuss the matter. The United States and the international community should also look into the developments as they have a clear stake in a democratic transfer of power and the stability of the Congo. They should ensure a successful democratic transition. 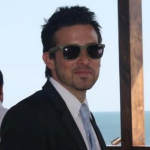 The United States also has an interest in the country not becoming a hotbed for terrorism; a specific and credible threat of an attack from Da’esh led to the closure of the U.S. Embassy in Kinshasa in early December 2018. The influence of such terrorists groups has proliferated since the beginning of the so-called Great African War. Since 1998, Congo has been seen off and on fighting. That conflict officially ended in 2003, but the apparent end to the conflict came in 2013 with the defeat of the M23 rebellion against Kabila. Sporadic fighting has dragged on claiming the lives of some 5.7 million people since 1998. In other words, the bloodiest conflict in human history since the Second World War. A disputed election could lead to another round of intense fighting across the country, not just in the troubled Eastern provinces. A renewed civil war will only serve to draw in powers (Russia, Iran and China for example) who seek to have a greater influence on the continent and increase the suffering of the Congolese people. The election results and the issue of a re-count now heads to Congo’s constitutional court and democracy activists both in the Congo and elsewhere will be watching closely to see if the Congolese people are robbed yet again.